Directions: From Dover, head North on AR Hwy 7 for approx. 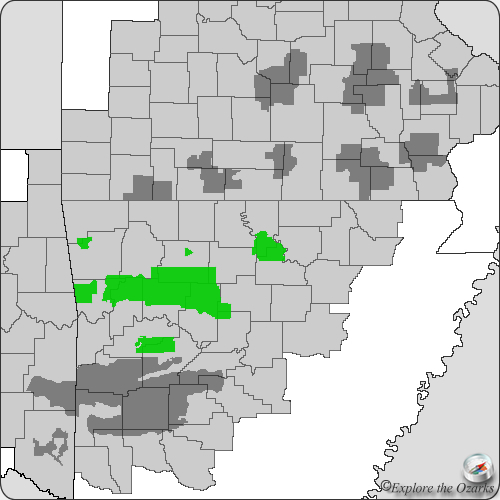 5.5 miles, then Turn Left onto AR Hwy 164. Follow Hwy 164 approx. 3.5 miles to CR#14/Old Hwy 7, and go approx. 2.8 miles. Turn Left onto CR#15/Longpool Rd. and follow this road 2 miles to the Rec Area. 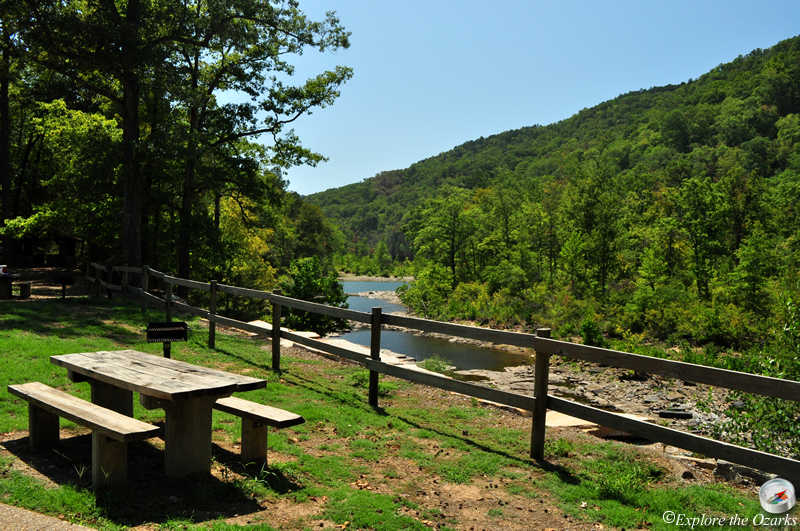 Longpool Recreation Area is located along the beautiful Big Piney Creek at the southern edge of the Ozarks. 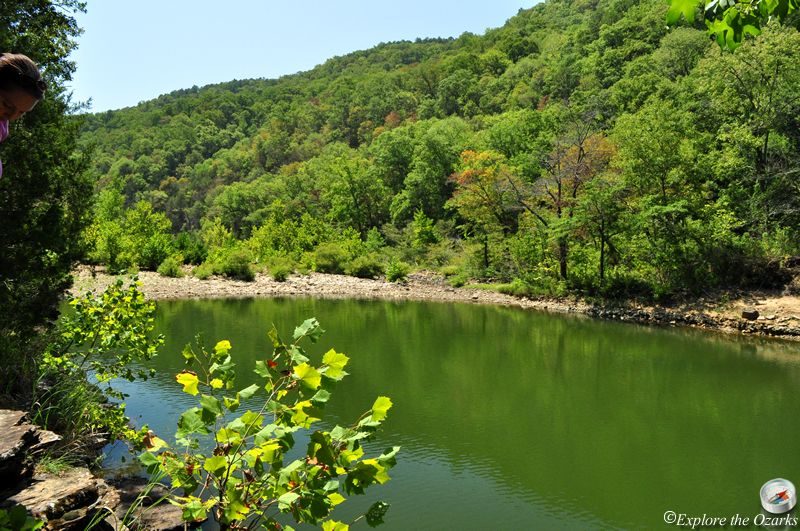 This area offers swimming, floating, hiking, camping and fishing, just to name a few. 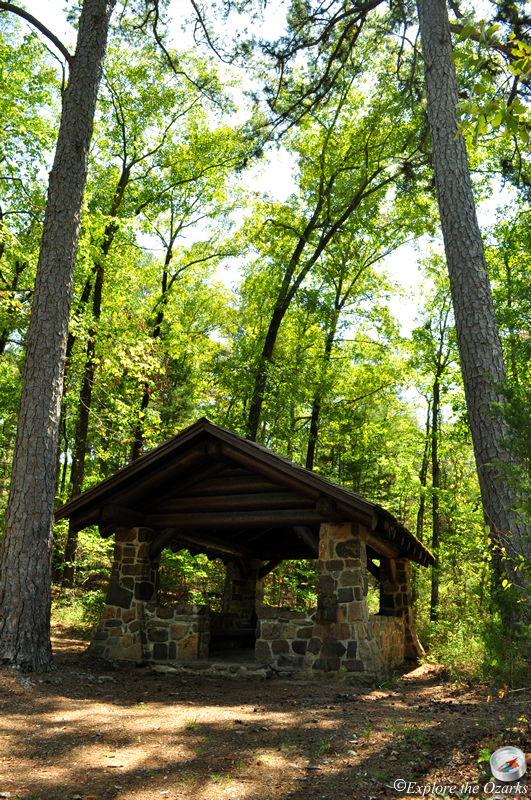 The large, deep pool and huge boulders in Big Piney Creek, as well as towering bluffs across the creek, provide a scenic backdrop for an activity-filled visit. 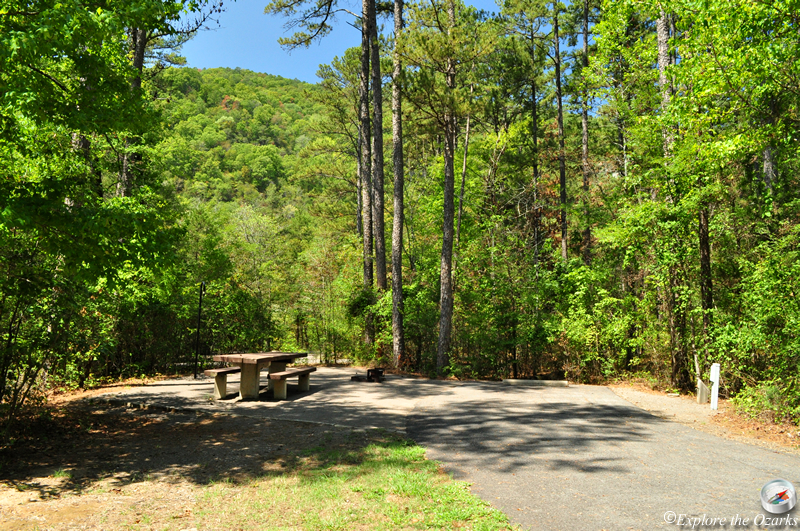 The campground at Longpool consists of three loops, with a total of 40 available sites. 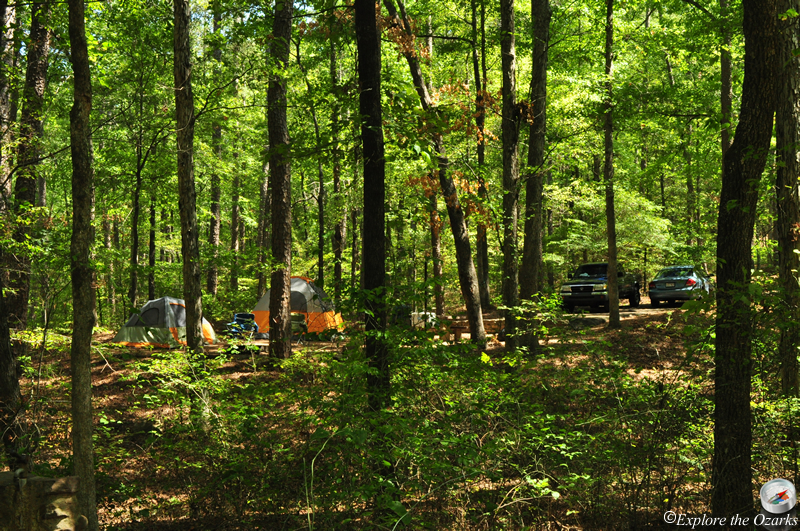 Loop C offers 20 semi-modern sites with water and electric hookups, while the other loops provide primitive sites with no hookups. Loop C is typically avaialble from May thru October. 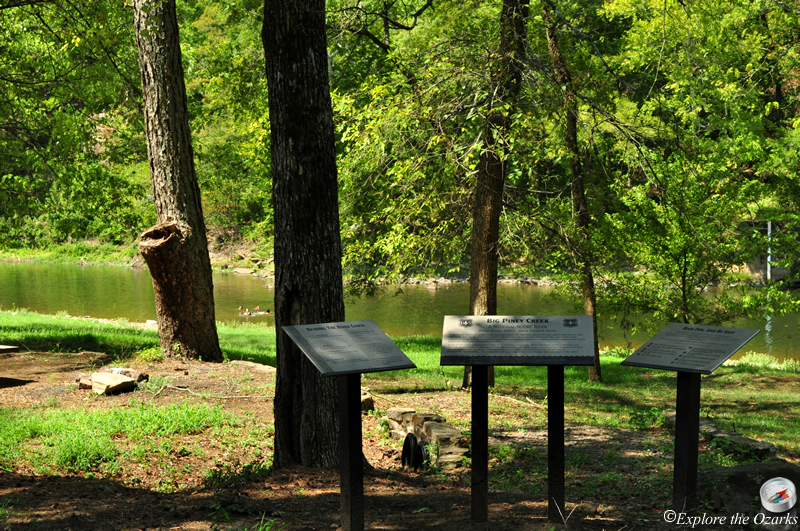 Longpool also serves as a major access point for floaters along the Big Piney Creek, one of the most beautiful float streams in the Ozarks. Spring weekends, especially after some good rain, can become a little crowded. Another feature after a good rain here is Longpool Falls, a 44' tall waterfall that spills over a nice bluff. The waterfall can be reached by hiking along an old road trace that takes off from the Loop B camping area. There is a smaller waterfall as well that you will pass on your way to these falls.